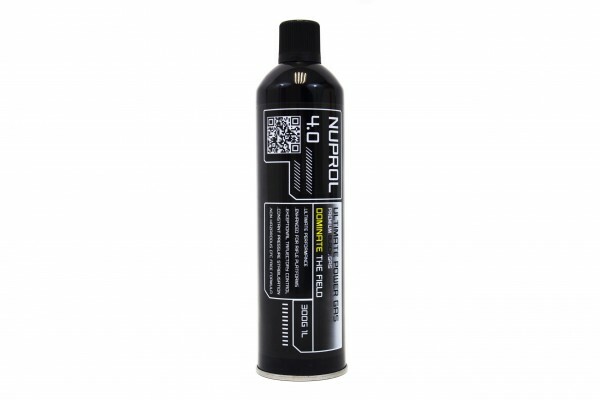 Nuprol 4.0 comes in a 2ltr, purpose built, high pressure container specially made to hold the immense pressure that the gas is held at. It is designed to give extreme blowback performance in GBBR rifles and upgraded pistols for a realistic, rapid cycle. Designed for users of heavy bolt systems and AIPSC shooters who demand the speediest performance, Nuprol work with a specialist laboratory to come up with this stuff. These labs have been working feverishly when partnered to create the Nuprol line and we are excited to say that Nuprol 4.0 will be THE gas for the British wintertime period.